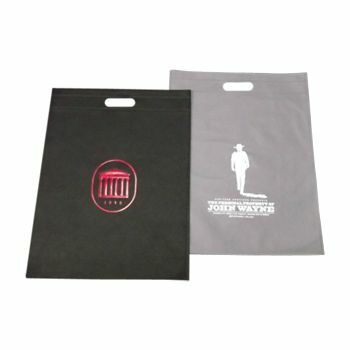 Designed with a grip handle for convenience, this reusable environmentally friendly bag is both practical and stylish. The gray or black background gives all the attention to the featured graphics. 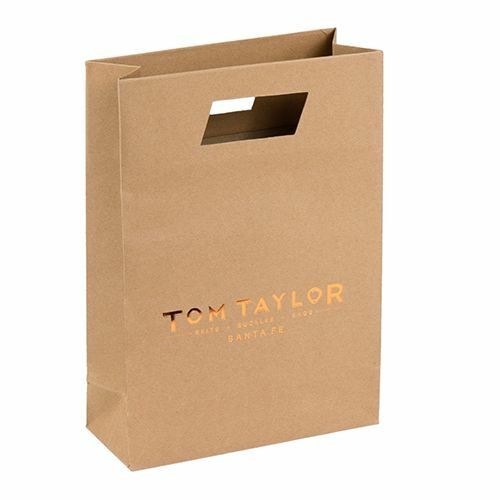 From customers to employees and friends, your one-of-a-kind creation on an eco-friendly bag is sure to be a hit. You can display an original idea using ink print, hot stamping or screen print. You get the perks of custom printing combined with guaranteed timely production. 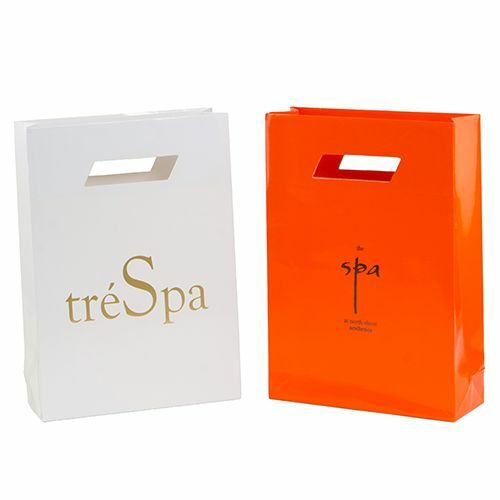 Browse through packaging options to find this durable merchandise bag along with other popular packaging choices.